Pop the champagne. Put up the streamers. No, no… put away the glitter– don’t you know that that stuff gets everywhere?! This week marks Fun Things To Do While You’re Waiting’s two-year anniversary. Can you believe it? Two years. 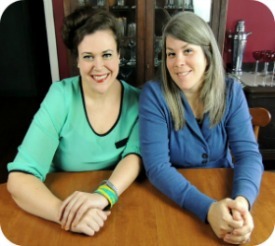 Frankly, it’s hard to believe that it has been a year since our last blogaversary! And in some ways, it feels like we’ve been running this blog forever. This year has seen a lot happen in both of our lives, and (just like we do) the blog continues to grow and evolve. 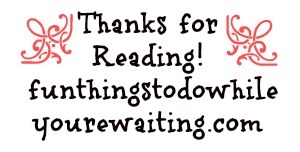 The URL will be rolled out in our watermarks and in our marketing materials, but we’ll still always be “waiting” for something. We’ve added some new categories in our indexing pages to hopefully facilitate easier navigation around the site. We are also going to be rolling out some new design and plug-in changes to our blog in this upcoming year. You may have noticed a dearth of musical playlists in this second year. We were and had become dissatisfied with our previous musical integration software and have migrated our service over to YouTube. The migration allows anyone to listen to our playlists, eliminating the need for secondary site credentials to listen to our favorite jams. A new playlist, along with why we picked our songs will be published later in the week- look for it in the next couple days. As of this publishing date, we have 463 posts in our archive/arsenal. Not too shabby. Although we modified our publishing schedule from the breakneck pace of year one, we still managed to publish 161 posts this past year–eight of which being guest posts. We had 58,810 page views from 163 countries and our blog was seen in all 50 states. This past year, our readers (according to Google Analytics) were most interested in how to remove paint from plastic containers, low-cut jeans, and how to knit beautiful dish clothes. It’s always fun to see how our readers tastes compare to ours! Last year, we took a look back at our catalog of work and chose our favorite and floppiest pieces from that year. And since we both love a good retrospective piece, we decided to do it again for THIS blogaversary. We are doing joint posts today and Friday, with a special new feature premiering this Wednesday! As always, playlist rules apply: if you see our name next to a title, that is our individual choice. 10. (Coralie) : A key component of this blog is sharing the yummy goodness that we create in the kitchen and I have three that I made for the first time this year but will continue to make for many years to come. Chocolate Chess Pie, Sailor Jerry Kahlua and Bourbon-Bacon Jam. Um, yes, you need to make these for yourself. Each one is soooooooooooooo good. Bub is still making White Russians with the Kahlua and I have to be careful making the chocolate chess pies because I tend to sit down and eat the entire pie in one sitting. 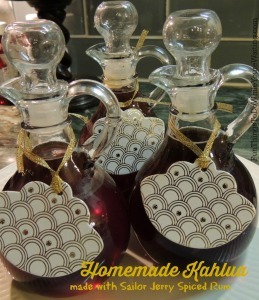 We enjoyed the Bourbon-Bacon Jam all through the holidays- yummy in my tummy! 9. (Leigh) : One of my favorite pieces this year was The Deal: Gluten which criticized the latest dietary watchword and the dietary trends in general. 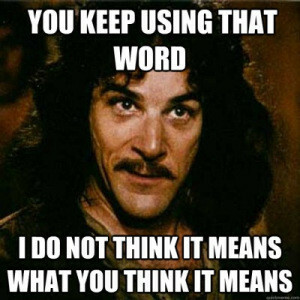 I think it is funny that the fixation on gluten is already on its way out. I laughed when I saw that The Girl Scouts of America were charging $1 more for the new, gluten-free offering this year. In the name of science, of COURSE I tried it. Of the two new flavors featured this year, the raisin offering won hands-down. The things I do for science. 8. (Coralie) : Bub and I tackled a minimum of remodeling this year. 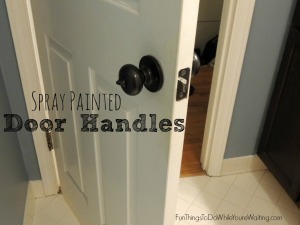 But, we did do the master bathroom- including brand new paint, new light fixtures and we spray-painted the door handles. Compared to what we started with- textured grandma inspired wallpaper- what we are working with now is a vast improvement. I am especially pleased with not only how the door handles turned out but how well they have held up! 7. (Leigh) : Another of my favorite posts this past year, was a documenting of my crafting magnum opus (so far) in my post about Personalized, Embroidered Wall-Medallions. I feel like I created a unique keepsake (that didn’t involve sewing baby clothes) to give to one of my oldest friends on the occasion of the birth of her precious Baby Bubs. A win/win in my book! (Coralie) : This post also tops my favs- I love these medallions- they are sooooo cute and I just love how personalized they are and because they are not clothes it will take years for Baby Bub to outgrow them and then who knows, I may move them to my room! 6. (Coralie) : I have to say that one of the things I was particularly glad that I did last year was the every 2 month update on my goals for the year. Knowing that I committed to regular updates not only kept me on task but also gave me a record of how I waded through so many goals. 5. (Leigh) : You guys know how much I love a good upcycling– giving something normally destined for the trash a new, useful spin. And this year certainly saw me write about, but my two favorites this year were my Painted Animal Glass Jars and when I talked about reusing Fabric/Plastic Bedding Bags. 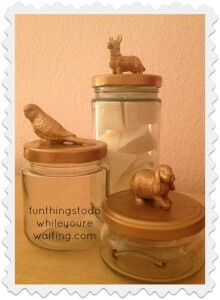 I liked the Painted Animal Glass Jars so much that I ended up making another batch for this past holiday gifting season. The Fabric/Plastic Bedding Bag post, I liked because I like that it revealed many of my friends who ALSO had an obsession with bags and keeping boxes full of boxes. Plus, it’s just a super useful organizing tip. 4. (Coralie) : I have this inner-hippie that sometimes demands attention! Deep down in my core, I know it would be awesome to live off the grid (whatever that means). Dare I say that Bub and I cutting off our cable was a step in that direction? And although Leigh and I have never talked about this out right, I do believe she has an inner hippie too (or trash lady) because she is always trying to reuse or re-purpose something that most of us would have just thrown away. 3. 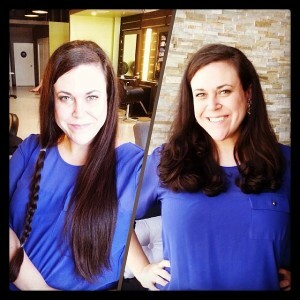 (Leigh) : My post about donating my hair to Locks of Love was another one of my favorites this year. The role that hair plays in our identity is something I love exploring and I am always comforted by the people who reach out and tell their own truths about their struggles and triumphs with their hair. I don’t know that anyone has “perfect” hair… I think the perfection is learning to love and work with whatcha got! But, isn’t that the case with just about anything? 2. (Both of Us’n) : This year saw both of us dropping some real talk. Transparency and realness are two things for which we strive on this blog and our Deep Thoughts posts are some of the funniest and best. We were rocked to the core by Robin Williams’ untimely death and simultaneously inspired by the dialogue that it created. And on a not so serious note- this year’s edition of our favorite things was brilliant! 1. (Both of Us’n) : Anyone who reads our blog will immediately pick up on the importance of family and our loved ones in our lives. Our writing shines the brightest when talking about those we love. Like Leigh’s shout outs to her family and Josh, or Coralie’s love letters to hers. Our website shines brighter still when those we love write for it- man, did we had some amazing guest posts this year?! Some of our guest posts are some of our most visited posts! We are so grateful to our families who support us, the friends who help out, and all those who follow our adventures. Did you have any particularly posts that you liked this year? Do you have any suggestions for future posts? As always, let us know in the comments! 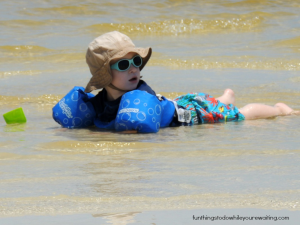 Blogaversary Week: The Faves! 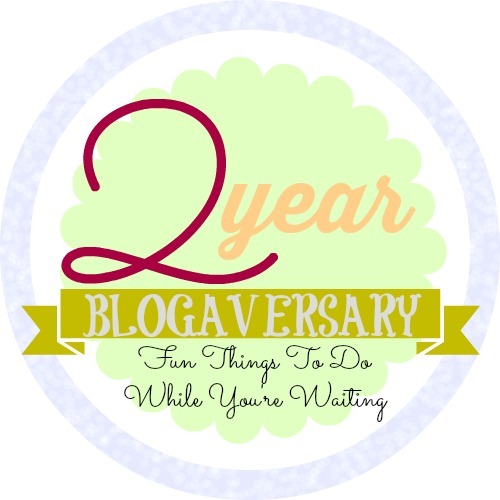 Year Three Blogaversary: #alldaylong The Blogaversary Continues! Year Two Flops! Thank you so much and congrats to you on your first year too! 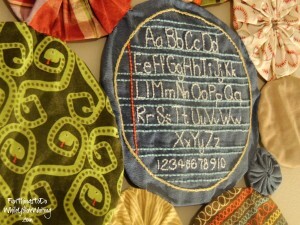 I loved the embroidery personalized medallions! Thank you- they really are super cute and Leigh totally personalized them for Baby Bub and they are so cute. It looks like the two of you have had fun the past two years! Congratulations on a wonderful blog! Congrats on two years!! It sounds like you’re headed to fun places with your blog and I wish you the best!! Thank you so much! We are looking forward to the years of blogging to come! THank you- it has been one post at a time! Congrats on your 2 year anniversary! I love the new shorter name! I think it will be a lot easier for people to find you! Thanks! I feel the same way- it’s half the words!